​Dr. Grimm earned his B.S. in Animal Science from Virginia Tech in 1966. After graduation from Veterinary school he became a partner with Dr. Moreman at Warren County Veterinary Clinic in 1975 . He is very involved in the community as a board member for Warren Memorial Hospital as well as a member of the board of managers for Valley Veterinary Emergency Clinic in Winchester. When not specializing in orthopedic surgery at the clinic, he enjoys spending time with his family at the Outer Banks. ​Dr. Brown joined WCVC shortly after graduation in 1989. Her interests at the clinic include working with cats and cancer patients. At home she has 18 cats of her own, 2 horses and 2 tortoises. 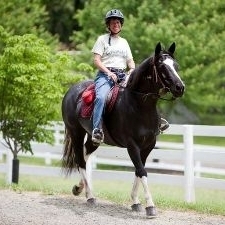 In her time away from the clinic she enjoys running marathons, riding horses and flying planes. 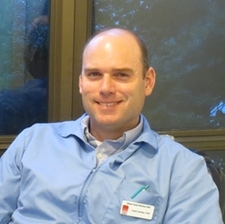 Dr. Wright joined WCVC in October 2000 and is particularly interested in internal medicine with a focus on gastroenterology. She is married to Derek Vandrey, DVM, a large and small animal veterinarian. They reside in Amissville with their three children, Eve, Sam and Will and their pets Darla the Labrador, Oscar the Cavalier King Charles Spaniel and Black the cat..
Dr. Pence, a lifelong resident of Front Royal, came to WCVC in 1997 and started as a kennel assistant while in high school. Kristen continued working at the clinic as time permitted while continuing her studies, and eventually graduated from the Virginia-Maryland Regional College of Veterinary Medicine in 2009. She is a member of the Rotary Club of Linden and has taught Veterinary Assistant courses at Lord Fairfax Community College. In her spare time, she spends time training for ultra-marathons and corralling her one dog and 10 cats. 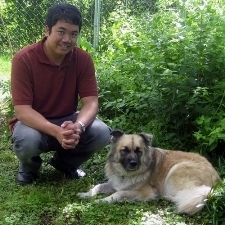 Dr. Vandrey joined WCVC in December 2013 after spending his early career as a large animal veterinarian in Rappahannock County. Dr. Vandrey's professional interests are broad, but lameness and orthopedics along with general medicine are rewarding pursuits. He is married to Dr. Amy Wright and they have three children. When not working, Dr. Vandrey enjoys the country life, coaching youth baseball and basketball teams, fishing and enjoying the outdoors with family, friends and pets. Dr. Lo grew up in Wisconsin and earned his undergraduate degree at the University of Wisconsin before spending a number of years in Chicago. During that time, he discovered his passion for helping animals and eventually moved to Kansas to attend veterinary school. In his spare time, Dr. Lo enjoys spending time with his wife, two young daughters, and their pets. His hobbies include music, sports and the occasional joke. I recently moved to Front Royal with my husband, four cats and three dogs. The motivation to move from our home in Massachusetts was to be closer to my family. The decision to move was” meant to be” when I found a fantastic house and dream job at Cedarville Veterinary Clinic in the same week. I enjoy hiking with my dogs, biking and kayaking. Front Royal is the perfect place to do all three. During my career as a veterinarian, I have worked mainly with dogs, cats and small mammals; however I welcome the opportunity to help all animals no matter their size or if they have scales or feathers. I enjoy teaching and was a teacher for many years in a veterinary technician program. Although I will miss my friends in Massachusetts, I will not miss the 10 feet of snow that fell over the winter of 2014-2015. I look forward to making new friends in Front Royal both human and animal. Dr. Ianni grew up in Fairfax City and earned her undergraduate degrees at Virginia Tech, where she eventually received her DVM from the VA-MD College of Veterinary Medicine in 2011. After living and practicing small animal medicine outside Camp Lejeune Marine Corps Base in Jacksonville, NC, for several years, she and her husband are now happy to be raising their family in their native Virginia. Along with their human daughter and son, they are blessed to share their home with three dogs (Freyja, Amber, and Cassandra), two cats (Pudding and Jinx), and a flock of lady chickens. Dr. Verloop grew up down the road in Bluemont and has lived in Marshall for the past 18 years. 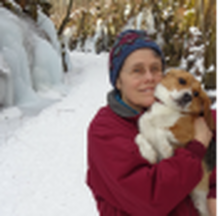 She is a 1991 graduate of the VA-MD Regional College of Veterinary Medicine at VA Tech and the Chi Institute for Chinese Medicine in 2010 as a Certified Veterinary Acupuncturist. Doctor Verloop and her husband have one child, 2 horses, 2 dogs, 2 chickens, a swan, goose & duck, 2 doves, one guinea pig, one parrot, and fish. A very well-rounded household indeed! She joined the Cedarville Veterinary Clinic staff in spring of 2015. Teresa joined WCVC in 1999 as a veterinary assistant. In 2007 she began her career in management at the clinic and became a Certified Veterinary Practice Manager 2010, Teresa also founded the local veterinary managers group, Shenandoah Valley Veterinary Mangers, in 2011. 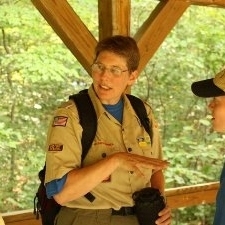 Besides enjoying time at home with her family and Boxer, she enjoys camping, backpacking and spending countless hours volunteering for the Boy Scouts of America. I reside in Winchester, Va with my wife and our three children Bryce, Theodore and Sunny. I have a passion for customer service and have always been fond of animals. Growing up my family had multiple dog, cats and rabbits. I currently have one Uromastyx (spiny-tailed lizard), who my oldest son thoughtfully named Chartreuse. I bring with me over eight years of customer service experience including over six years in management. In my free time I like to go hiking and play outside with my family. I look forward to meeting and serving you all. Beth joined WCVC in September 2018. She moved to Front Royal from southern West Virginia in May 1994. For the past 4 years she has volunteered for the Virginia Bluebird Society monitoring Bluebird activity in the Spring, Summer and Fall in our local State Parks. In her time away from the Clinic Beth enjoys playing tennis, cycling and being outdoors. 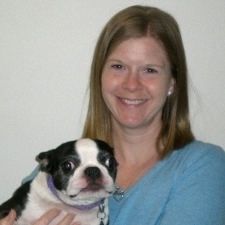 Lauren started working at WCVC in September of 2005 as a Licensed Veterinary Technician. She also received Ultrasound certification in 2008. Her pet family includes 2 very well-mannered and giving German Shepherds, who have been known to donate blood to their canine friends in need, and 4 cats. 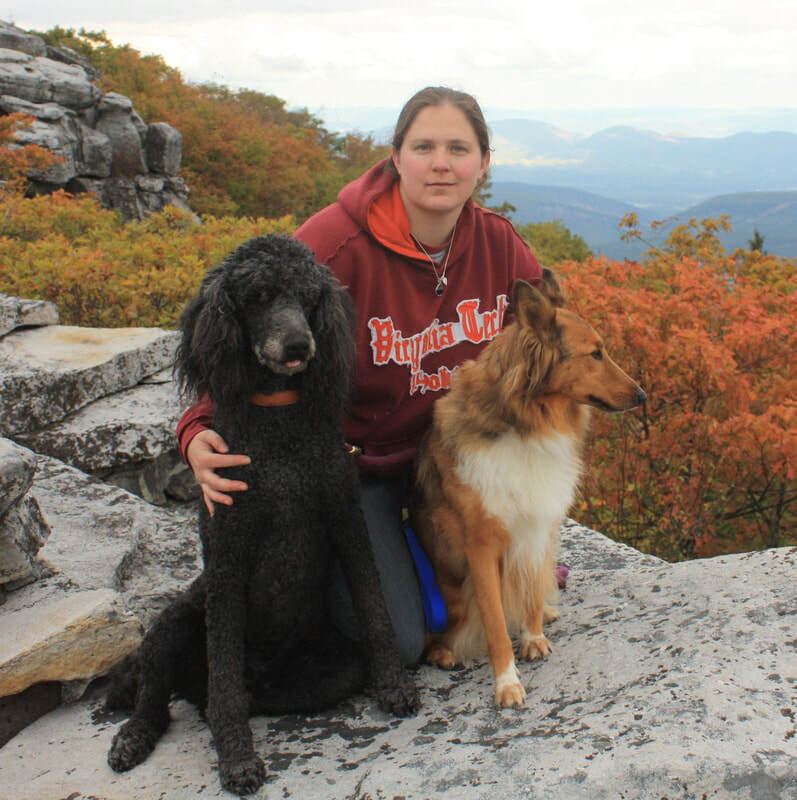 Ashley graduated from Blue Ridge Community College Veterinary Technology Program in 2013. She grew up in Augusta County and spent 6 years in the Virginia Army National Guard where she met her husband, Matt. 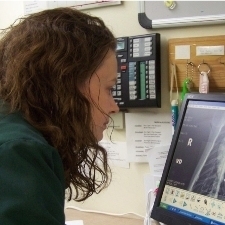 Ashley relocated to Shenandoah County in May 2013 to start her new career as a Licensed Veterinary Technician. She loves spending time with her husband, daughter Gabby and her furry kids, Shay and Jaeger. I have been working in small animal medicine since 2001. I was raised in Northern Virginia but spent most of the last decade in Phoenix, AZ. After moving back to Northern Virginia in 2014 I relocated to Stephens City with my wife, two young children, and our cat Zoe in 2015. I have an affinity for cats and have a special interest and passion for canine and feline dental care. In my spare time I enjoy nature photography. I recently joined the team at Cedarville Veterinary Clinic in October of 2015. 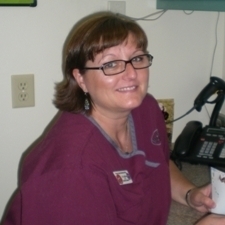 Mary-Ann has worked in the veterinary field since 1995 and received her technician license in 2000. Early in her career she worked in day practices and spent 2 years working solely with exotic pets. She joined the WCVC team after working the last 15 years in Northern Virginia, at a veterinary referral hospital’s Internal Medicine department. While there she cultivated and coordinated their Vet Tech internship program for several years. She is currently teaching a veterinary assistant course at Maryland’s Frederick Community College. She has lived in Shenandoah since 2007 and shares her home with a passel of fur kids. 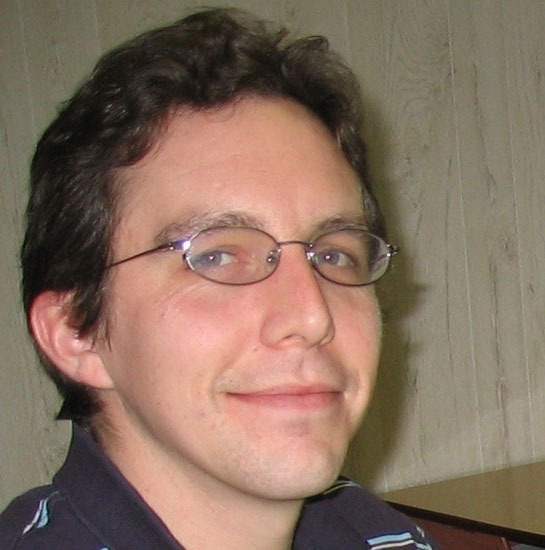 Josh started working at WCVC in 2011. 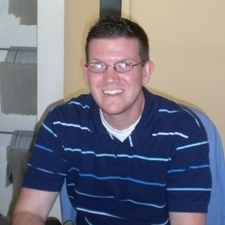 Josh has lived in Warren County his entire life and currently resides in Browntown. His exceptional customer service touches every client, every time. He has a Boston terrier at home named Maeby and several feline friends too. Caitie started her veterinary career in 2011 and joined WCVC in 2015. Caitie brings an air of cheerfulness wherever she goes and is always willing to lend a helping hand. When not working at the clinic she enjoys the outdoors, shopping, hanging out with with family and spending time on the beach in Outer Banks, NC. Caitie and her husband Jason have a precious baby boy named Lucas and four furkids; a dog Paisley and three cats, Opie, Sadie and Scratch. Growing up in Savanna, Georgia, Katrina was taught the importance of family, friends, following dreams, and enjoying the small things in life. She has carried those values throughout her adult life and is passing them on to her son. Since childhood she has had a passion for animals. She was always bringing home all types of animals and would simply say "Mom, they need a home!". Katrina's mother has fond memories of all the animals from Katrina's many walks that quickly became family members. She has been in the customer service field for over 12 years and loves working with the public. Joining the Cedarville team where she can interact with people and their pets fulfilled one of her dreams. Katrina, along with husband Cory and son Zachary, moved to Front Royal 8 years ago, and they still feel they are learning about the town and surrounding area. As a family, they love to go fishing, spend time out on the river and at the local dog parks with their 4 dogs Haze, Remy, Kali and Marley. Lea’s brings with her a passion for animals and years of customer service experience. She enjoys getting to know our clients and their pets. In her spare time Lea loves crafts and fostering orphaned kittens. Lea and her husband currently have a full house with five dogs, eight cats, four birds, two guinea pigs and fish. I am originally from Manassas, VA but I have called the mountains of Front Royal, VA home since 2014. I started my career in the veterinary field in 2006 as an assistant. I enjoy helping clients and patients in any way I can and in my spare time I enjoy the outdoors and going to the Outer Banks with my husband and four kids. At home my furbabies include one dog and three cats. Deanna has one dog and 6 cats at home. Outside of work she enjoys spending time working around the home she just purchased, and spending time with her father and brother. Cylinda began her time here at WCVC as a part-time volunteer in 2005 and became a full time employee in 2006. Cylinda has become our Inventory Manager along with performing Assisting duties. She has a wide array of pets at home that include 6 dogs, 7 cats, one rabbit and one parrot. When she has extra free time, she enjoys taking her granddaughter to the movies and spending time with her 2 sons. Leigh Shifflett studied a home course for veterinary assistants in 1990. She did not start a career in the field until 12 years later after raising her 2 children to school age. Leigh joined the team at Warren County Veterinary Clinc in 2004 as an assistant, and later became a customer care specialist. She has 4 cats and a multitude of frogs and lizards, which are her true passion. My passion for animals started at a very early age. I was an only child with many animals siblings. I was born and rasied in Warren County. My mother worked for CVC for 15 year and I worked at WCVC for 5 years. I did restaurant managment for 4 years and decided that I missed working with animals and came back to Cvc in June of 2015. I love spending time with my 2 kids when Im not working. I have 2 dogs and 2 cats at home as well. Brittany started her dream career working with animals in September 2018. Native to Northern Virginia, moving out to the beautiful mountains in Front Royal was the best decision ever made. Although this is her first job in a clinic, animals have always been a major part of her life. Growing up on farms and spending time at her grandfathers veterinarary practice has made her passionate for every living creature, whether it be furry, scaled or full of feathers. Brittany has two fur babies at home: Belle a 10 year old big puppy and Bud a 6 year old full fledge mini panther. Brittany is at her happiest when among animals and is excited to further her career in the field. I was born and raised in the beautiful Shenandoah Valley. I have worked in the Veterinary field since 1983. I have experience working with reptiles, birds, pocket pets as well as dogs, cats, bunnies and many more. I currently have 3 dogs and 3 cats. I have had the wonderful experience of working with various rescue organizations over the years fostering and bottle feeding litters of kittens and placing them in good homes. I love wildlife rehabilitation. I have taken in and bottle fed/hand fed more squirrels, bunnies, and birds than I can count – and repaired many cracked turtle shells. In my spare time I like to spend time with my family and my pets. And I love to fish! Nichole is a Manassas, Va. native that moved to Front Royal in 2008. She loves brightening everyone's day especially her furry friends that visit the clinic. Nichole has a house full of fur babies which include special needs pets and is supported by her spouse and her son. Nichole loves Boxers and invites you to bring them by the clinic anytime to say hi! Ashley is a valley native and has been enjoying her career as a Veterinary assistant since 2008. She loves spending time on the farm with her family and especially enjoys caring for her fur babies, Baylee the beagle and Wickett, her special needs Shih-tzu. Ashley also loves a whole zoo of cats, ducks and cows! 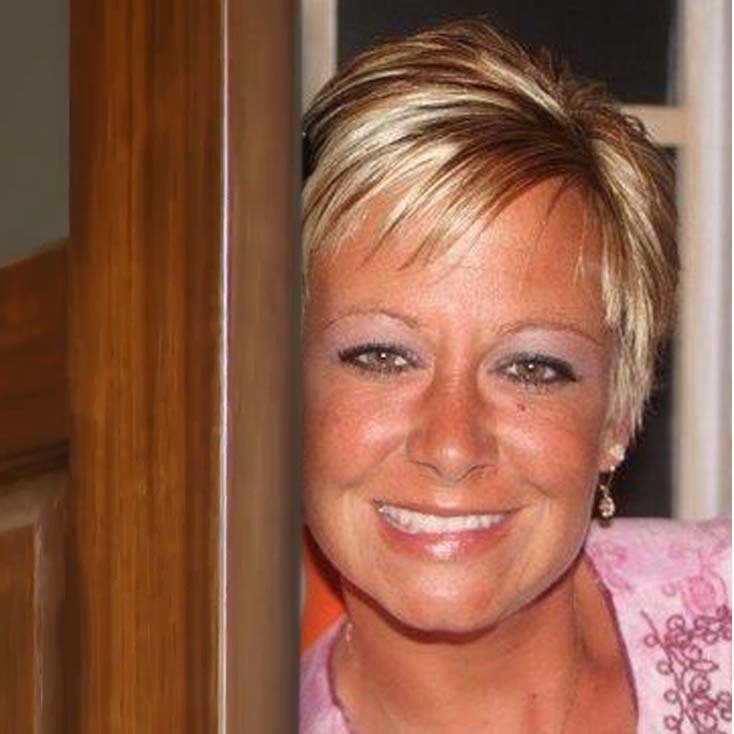 Shelly started with WCVC in May 2018. She is a Native of Front Royal although she and her husband moved to Myrtle Beach for 3 years, their love for the mountains brought them back. 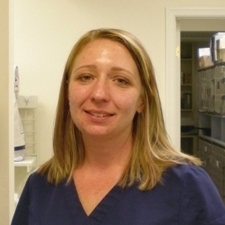 Shelly started in the veterinary field in 2012, and has worked in various specialties. Shelly enjoys spending time with her family, hunting and fishing. Shelly currently has 3 dogs at home. Melinda, a west coast native, joined WCVC as a Client Care Specialist in May 2018. She brings 4 years experience as a Technician Assistant in emergency veterinary medicine. Melinda is a veteran, a mother, lover of all animals, and takes your pets care very seriously. At home she has several feral rescue cats, a chihuahua and an old man beagle. When not welcoming your beloved pets to the clinic, she enjoys the outdoors with her family, finds calm in every book she can get her hands on and daydreams about the ocean. Madison, a native of Page County, started her dream career of working with animals in a veterinarian practice in October of 2018. While this may be her first job in a vet office, animals have always been a huge part of her life. Growing up she spent all the time she could at the barn with the horses, cows and sheep, and with her uncles and dad’s hunting dogs. Her love and compassion for all animals is easy to see! She has four fur babies of her own: a chocolate lab named Winston, a border collie named Church, a beagle named Leah, and a border collie mix named pepper. She also has one cat named buckwheat. In her spare time she loves spending time with those who mean the most to her, going new places, going to races, doing anything outdoors, and riding horses. She loves working with animals and people, and can not wait to further her career in this field. I was born and raised on Long Island for 22 years of my life. I worked at an animal shelter for two years and then continued on to work at a veterinary hospital for two years and volunteered at the animal shelter. I moved to Winchester Virginia for a fresh start and to move forward with my relationship with my wonderful boyfriend. I have always had a love for animals since I was a little girl from having pets of my own to my friend and families pets to the strays I’d find on the streets. I love being in nature, reading, and music. I am ecstatic to see what my future holds for me here in Virginia and at Warren County Veterinary Hospital.